LONG BRANCH, N.J. -- A man fatally shot his partner and their two children before setting their Jersey shore house on fire and killing himself, prosecutors said Friday, confirming investigators' early suspicions that the deaths were a murder-suicide. 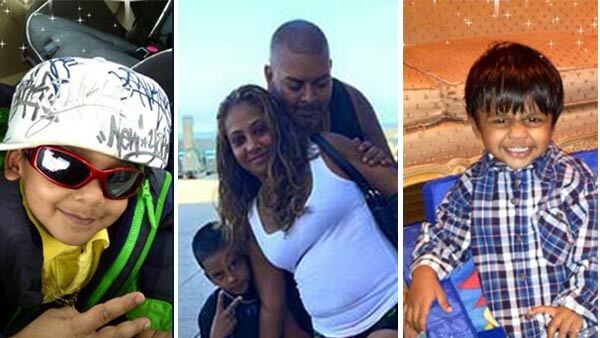 Lyndon Beharry, 35, Amanda Morris, 29, and their two children, 7-year-old Brandon Beharry and 4-year-old Brian Beharry, died after the shootings and fire late Tuesday in Long Branch. All four were found with gunshot wounds inside a second-floor bedroom after the fire was extinguished, and Lyndon Beharry's wound was self-inflicted, said Christopher Gramiccioni, Monmouth County acting prosecutor. After the fire was extinguished, the four were taken from the house to a hospital, where they died. Their official cause of death won't be available for several weeks, the prosecutor said, and the case remains under investigation by local law enforcement. Beharry and Morris were originally from Trinidad and were remembered by neighbors as loving and dedicated parents. Beharry worked for the city's public works department. A cousin of Lyndon Beharry was alarmed that it could be a murder-suicide when investigators suggested that likelihood Wednesday. "We were like brothers. We would go to the water parks with the kids on the weekends. I don't know how they could say this. They lived very happily," Ronald Beharry, who was also a neighbor, told the Asbury Park Press. Beharry said he last saw his cousin earlier Tuesday night and everything was fine with the family when he left. The outside of the home showed little fire damage, and all of it was confined to the second floor.